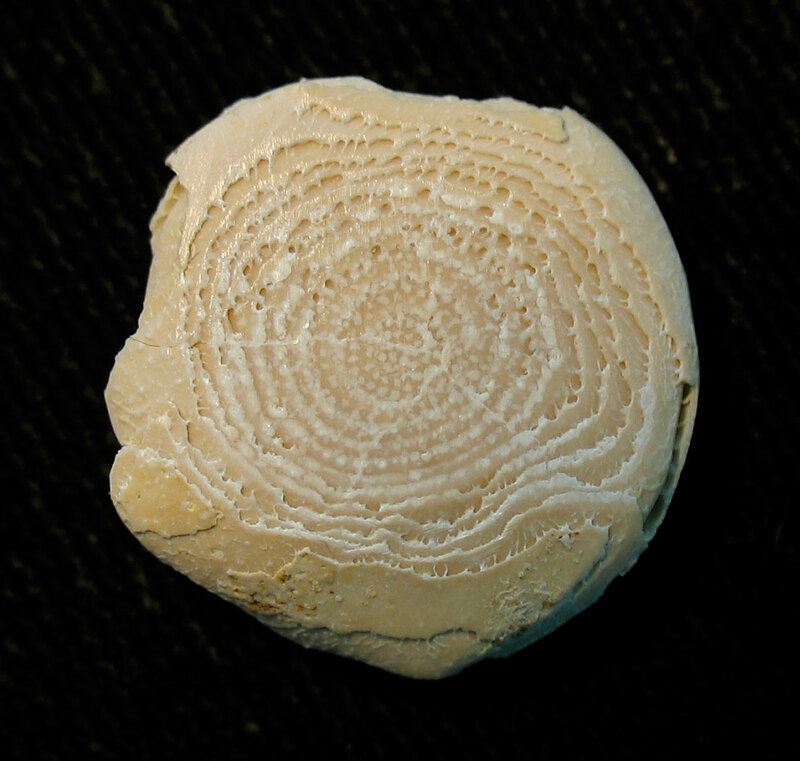 This foraminifera fossil is known as a Nummulites. It was found near Soissons, Aisne, France. The fossil dates to the Eocene. This fossil originally just a smooth disk about the size of an American dime. Using a belt sander, the surface was taken off revealing more spiral chambers. Thanks to Dave for this fossil.